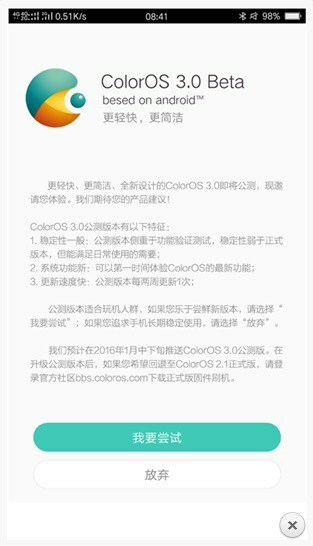 According to a report out of China, Oppo has begun beta testing version 3.0 of its ColorOS firmware, which based on version 5.1.1 of Google's Android OS. Only Chinese Oppo Forum members who own the company's R7 Plus smartphone are currently eligible to join the beta testing program. This means international users waiting for the latest ColorOS version are currently out of luck. As for what's included in ColorOS 3.0, the change log mentions a completely redesigned UI and icons, new status bar, new Back, Home, and Recent virtual buttons along with the ability to hide them, new Contacts and Phone app, as well as several improvements. how much time require to launch for international user???? Find7a can get this color os 3.0 update? I will taste this update.